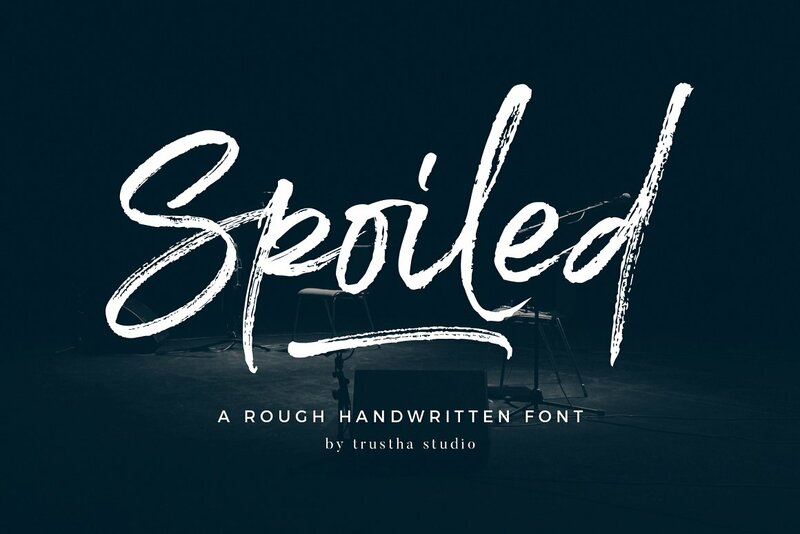 Download Spoiled font for free. Spoiled is a font / typeface offered for free. please note that if the license offered here is non-commercial you have to obtain a commercial use license / permit from the original author. The Spoiled is a rough handwritten font. It has a natural style which makes it perfect for branding, advertising, poster design, logo, book covers, magazines, packaging, website headers, greeting cards, apparel designs, merchandise, fashion campaigns, newsletters, album covers, and quote designs and more. If the Spoiled font is offered under 'commercial use free' or 'creative common' license, feel free to use Spoiled font for any purpose.